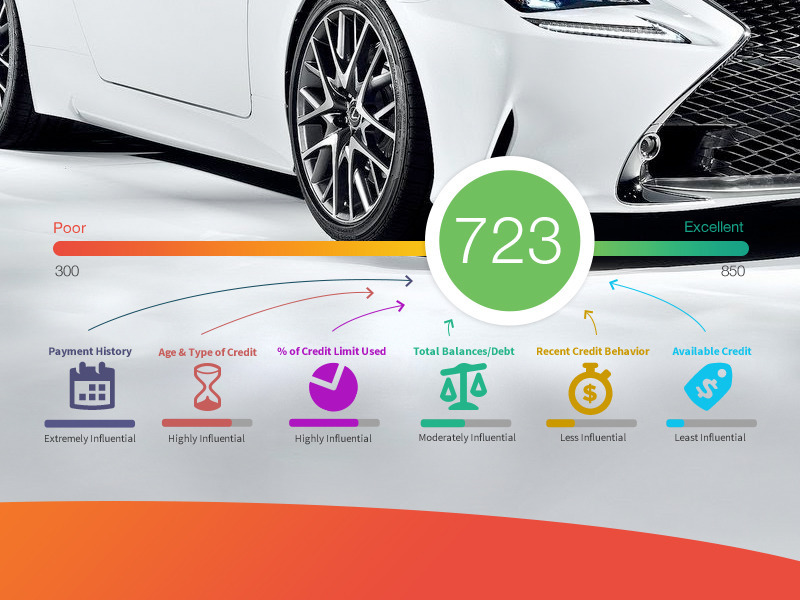 Your credit score matters when you go to buy a car. A low credit score can be a major hindrance when you go to get financing to buy a car, so it’s important to do your best to keep your credit score high. That way you can get the financing you need. This is true for more things than just a car. You'll need a good credit score for other loans, too, like if you purchase a house or land. If you just found out that your score isn’t as good as it could be, you can take steps to improve it. While there’s a lot of information out there about how to improve your credit score quickly, you’re better off following these five steps and improving your score over time. By consistently doing the right things, you will have a good chance of improving your credit score to the point where you can get the vehicle you really want. Here’s what you need to do. Credit cards are a useful financial tool, but holding a large balance on a car isn’t a smart idea. John Ulzheimer, a nationally recognized credit expert who has worked with FICO and Equifax, told Bankrate, “A good way to improve your credit score is to eliminate nuisance balances.” That means you need to pay off those credit cards. All those store credit cards that have small credit limits can do a number on your credit score if they’re not paid off. When you hold a balance on a number of cards, it can hurt your score. It’s better to use one credit card for all transactions. This simplifies things for your finances and for your credit report and should raise your score. This seems like a no-brainer, but you’d be surprised how many people pay bills a day or two late. Even paying something late one time can have a negative impact on your credit score. By always paying your bills on time, you’ll show that you’re reliable and responsible, which will boost your score. If you have trouble remembering what day you need to pay bills, consider setting up an automatic payment. That way all you have to do is to remember to keep enough money in your bank account to cover those payments. The minimum payment on your credit card bills and other bills is designed to make you pay for a long period of time. Most of the money you pay when you pay the minimum amount on a bill goes to the interest and the principle (the amount of money you owe) will only go down a little. This doesn’t inspire much confidence on a credit report and will yield a low credit score. To boost your score, you should pay more than the minimum balance every time you make a payment. This will help boost your score and it will reduce the amount of money you pay in the long run. As you pay down your debt, you’ll notice the minimum payment price drop as well. You won’t have a great credit score if you never use credit. A credit score is determined by taking into account your credit history. If you have little or no credit history, your score will likely be low. To boost that score, you need to use credit on a regular basis. A good way to build credit is to get a credit card and use it specifically for things like gasoline. At the end of every month, pay off the card. This will not only boost your credit score, but it will compartmentalize a portion of your spending, making it easier to know where your money disappears to. Have you been doing everything right but your credit score still stinks? There may be an error on your credit score. According to MoneyTips, credit reports aren’t perfect. Errors are often evident. The report can show fraudulent or erroneous information. Luckily, if you see these issues on your credit report, you can take steps to eliminate them. There are numerous credit correction services out there that can help. Before you do anything, though, talk with your financial advisor to see what they recommend for your specific case. They may be able to resolve issues or point you in the right direction. A good financial advisor will also be able to help you manage your credit and improve your score further.